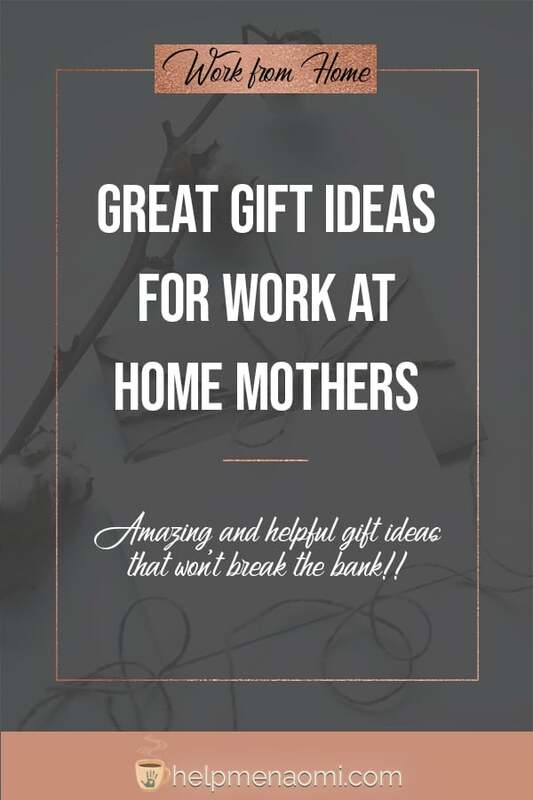 Looking for gift ideas for work at home mothers? Look no further!! As someone who’s been working from home for more than 15 years, I know exactly what makes a good gift. Now, every work at home mother is different, and what makes one cozy is not necessarily going to make them all cozy. But here are some good items that can give you some ideas for what to get the work at home mother in your life. After struggling to make deadlines, juggle the ever-growing to-do list, and stave off isolation, the best way to let it all go is to curl up in something cozy. Fashare Fuzzy Fleece Pajama Pants. Want to know why women really shave their legs? It has nothing to do with their partners and everything to do with pulling these pants on over silky smooth legs. Nothing feels better (except maybe crawling between two warm-from-the-dryer sheets with freshly-shaven legs). Oversized Loose-knit Cardigan. The bigger the better. Is there really anything else to say about this? Fuzzy Socks. For those of us who like to keep our feet covered, but don’t like wearing actual slippers or shoes all the time, fuzzy socks!! What I like most about this particular pack is that they have the nonslip grip on the bottoms. So, much less fun if you’re trying to ski across the kitchen floor, but fewer surprise slips! If You Can Read This, Bring me Some Socks. What’ll it be? Wine, chocolate, or coffee? 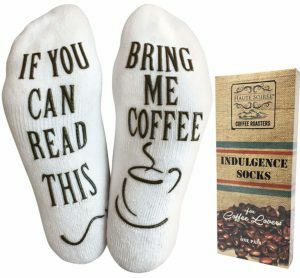 (psst, I have the coffee pair, and they are heaven). These socks are super comfy and nonslip. The Year of Cozy: 125 Recipes, Crafts, and other Homemade Adventures. Does your work at home mother love making her own candles or cooking comfort foods? Would she enjoy making homemade treats for the dog? Or packing up for a cozy picnic? Then this is the book for her! Available both in hardcover and Kindle. Let’s face it, part of the appeal of working from home is the ability to roll up to our computer in our pajama pants. (Or, um, no pants. But that’s a different story). But that doesn’t mean we don’t want to feel pretty when we’re not sitting at the computer. I am not an expert on what makes women feel pretty. This isn’t about conforming to some societal standard of beauty, but rather about giving a work at home mother something that empowers her to feel pretty every once in a while (because, trust me, unless those yoga pants and tee shirts are what makes them feel pretty, they want to do something else every once in a while). For me, a nice, small hair clip or some nail polish in my favorite colors usually does the trick. Or tea, or hot cocoa… or nothing it all (because they can totally be used to decorate a shelf). 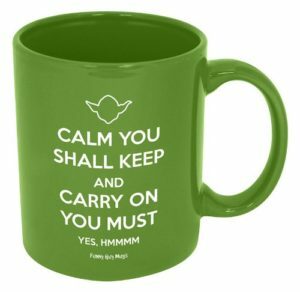 Calm You Shall Keep Yoda Mug. I received this mug two years ago as a gift and it is still one of my favorites. 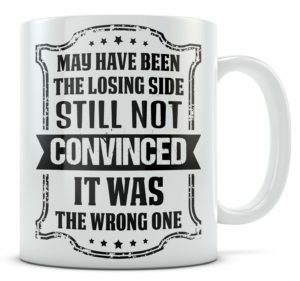 The only issue I have with this mug? They don’t make it big enough!! The Expressions of a Storm Trooper Mug. Now this mug I use all the time. It’s a 14 oz mug, so it holds a good bit. And it features eight stormtroopers conveying different emotions. And yea, they’re pretty funny. I’m not Saying I’m Wonder Woman Giant Mug. Yea, no one’s ever seen me and Wonder Woman in the same room either. And how could you miss either of us with this gigantic, bright red coffee mug? May Have Been the Losing Side Firefly Mug. Don’t worry, I’m not going to sit here and cry that Firefly was cancelled far too early (it was!!). Nor am I going to gush at all the great one-liners and quotes it had (oh so many!!). But I will tell you just how much I love this mug (a lot!!). One of the complaints I hear the most from work at home mothers is how hard it is for them to keep track of everything. Ideas and strategies are outlined in a not-so-carefully designed series of notebooks and post-it notes, pens go missing, and files are saved to a computer never to be seen again. Want to really make her smile, help her keep all these things organized!! Desktop Organizer and Adjustable Display. Not everyone who works from home has the nice big office and all the space in the world. But we still have all the work as someone with a big desk. This small organizer sits on any desk, table, or counter top to give you added organization and space. Desktop Organizer with Drawers. There is nothing worse than to sit down to do some work and realize you forgot a pen. Or a paperclip. Or a stamp. Or any other small object that you might need. This isn’t always a problem if you happen to have a big office where you can store everything you need, but for those of us making do with smaller workspaces, this nice little organizer is a great way to keep all those little knickknacks in one spot. Everyone fights with temporary lapses in motivation. There are just some days that we don’t feel like doing much of anything. But when you work from home, it’s even more important to get out of these funks — because there is no one there to help pick up the slack. So if you’re looking to help your work at home mother find her motivation, here are some great ideas that really help me. Small Digital Frame. Almost everything I do, I do for the future of my family. I dream of a day when I can wake up and not worry about finances, or whether or not I will be able to afford birthday presents, or just wondering if I’ll ever be able to teach my kids all the things I want to teach them. So, this small digital frame I received as a gift a couple years ago for Mother’s Day does so much more than just hold my favorite photos of my kids and my husband — it gives me a reminder of why I’m doing what I’m doing. And it keeps me going. Have you ever experienced WAHM Guilt? It’s similar to mom-guilt, that phenomenon that keeps mothers feeling guilty and inadequate at every turn. But WAHM Guilt takes on a new level when the housework starts piling up because they struggle to balance housework, work, and kids. The best way to alleviate WAHM Guilt? Make it easier to get the housework done. Here are a few ideas to help with that. 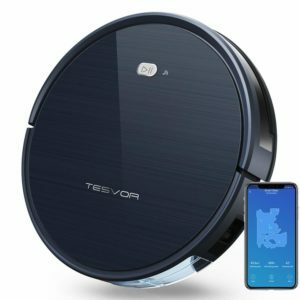 The Tesvor Smart Robot Vacuum Cleaner. If you have kids, pets, or floors, you know just how fast those floors can look dirty. Now, I can’t speak for every work at home mother out there, but I can tell you that when my floors are clean, I feel like the whole house is cleaner. And when my floors are dirty, I feel like the entire house is in shambles. This little dream also connects to Alexa, is self-charging, and I promise, I have never had any issues with it running over my dog’s little accidents. Mesh Laundry Bags. Mesh Laundry bags are typically used for special items, like bras or hosiery, to help keep them from getting snagged and damaged in the machine. But I use them to make laundry easier on me. For example, my daughter’s socks all go into one mesh bag so they don’t get lost during the laundry process (my son’s socks go into a separate bag). My microfiber cleaning cloths will go into another bag so I can find, fold, and put them away faster once I pull them out of the dryer. Work at home mothers are always on the lookout for new skills, new tools, new systems, and new knowledge. We just love to learn. So, while it might seem weird to give someone a course or a book, they will absolutely love it!! The Amazon Kindle. Have you ever seen a blogger, entrepreneur, or work at home mother without a list of books she wants to eventually read? I swore against Kindles when they first came out (I love my paperback books) but you know what? When it comes to career-training and personal development books, nothing beats the Kindle. They store more, and books can be automatically updated with new editions and updates (depending on the author and subject matter) – no more books piling up on my bedroom floor… I mean, my bookshelves. Audible Membership. As more and more books are being released on audible, including career-training and personal development books, this is fast becoming the preferred way to take in a new book. Especially for work at home mothers, who are often trying to multitask. Finally, they can learn marketing while cooking supper, take in productivity tips while folding the laundry, and even get a boost in confidence while chasing their littles around the house. Work at home mothers often have difficulty finding time to just relax. Part of this is the thinner boundaries between work and home when you work from home. So making it easier to relax will help them relieve tension and believe me, they will feel incredibly grateful. Handmade Bath Bombs. Is there anything that feels more luxurious than a warm bath with zero interruptions, no kids, and no bellowing phone notifications? 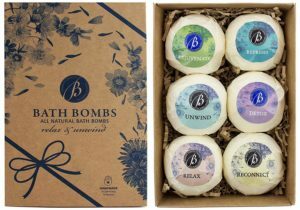 Okay, so you might not be able to take the phone and the kids away, but you can definitely help make the bath more pleasant with these amazing bath bombs. Aveno Stress Relief Moisturizing Lotion. This is an essential part of my nighttime routine. There are plenty of other lotions that work and probably do the same (and if you’re really feeling crafty, I know you can even make your own lotion to get the same effects), but Aveno happens to be my favorite. Essential Oils. Now, let me tell you what I know about Essential Oils: nothing. I couldn’t tell you how to use any of them, what they should be used for, which ones are safe, which ones aren’t, or where they come from. But I can tell you who knows all that stuff and who answers all my questions when I ask: the Oil Pixie. I’m telling you, she’s magic. If you’re looking for information on diffusers, blends, uses, and other things to help you relax, she is my go-to person. Shopping for work at home mothers doesn’t have to be difficult. The details might differ some, but we all pretty much want the same things. Which idea would be at the top of your list? Thank you so much!! I’m so glad you found some ideas you like! i love a good pair of cozy and fuzzy socks! This is such a good list! Thanks, now I’ll have an idea of what to gift.